Corporate greed. Big ag. Monsatan. Factory Farms, farming for profit. Organic. Local. Pasture based. Family Farms, farming for … profit. I’ve been seeing a lot of commentary online and had a few conversations lately where people have expressed their feelings about the business of farming. It seems that many people believe that farms aren’t supposed to profit. They don’t think of farms as being the businesses that they are. 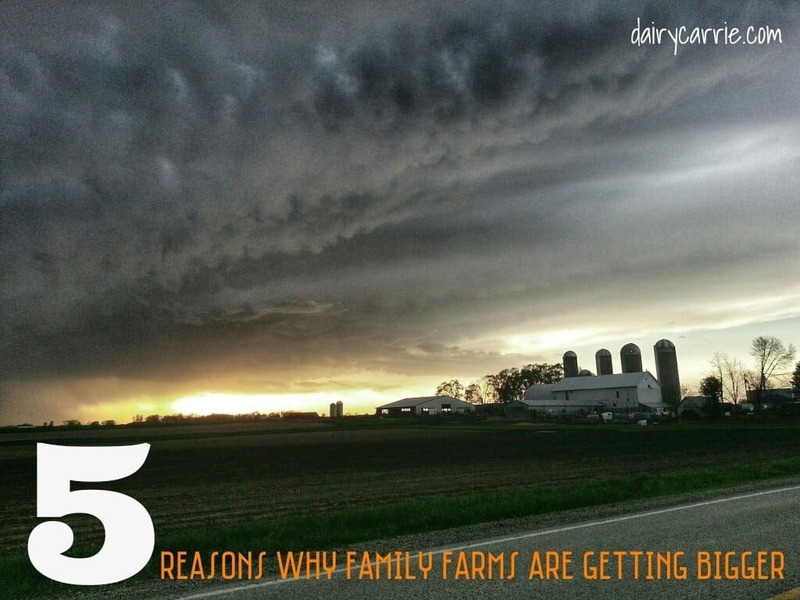 I think it’s time to talk about the nitty gritty business side of farming. First the basics. Farms are businesses. Just like the hair salon, the diner or the insurance company, we can’t constantly loose money and still pay the bills. This does not change based on number of pigs, employees or acres of ground in crop. Organic or conventional, farmers need to have a profitable business to sustain. Like any business some farms are more profitable than others. I know large farms that have had to sell the cows and quit farming because they couldn’t pay the bills. I know small farms who have had to sell the cows because they couldn’t pay the bills. I’ve seen small farmers take trips that I know I couldn’t afford, I’ve had large farmers confide in me that their families are receiving food stamps. Size of farm doesn’t seem to play into profitability in many cases. So what does drive profitability for a farm? Most likely far too many reasons to list but the umbrella reason is smart management of the resources you have. So the big question is, what kind of profits are we talking here, right? Can a farm be sustainable if it takes a cut in profits to meet what some parts of the public want to see? Again, it all depends on the farm. On a certified Organic farm, the cost of producing the goods they sell is generally higher than the cost to produce the same goods conventionally. Meaning, an Organic dairy farmer has to pay more to buy certified Organic hay, than a traditional farmer has to pay to buy a bale of non organic hay. Often, yields from organic production are less than yields from conventional which drives up the cost of production for organic farms even more. To help offset the higher cost of bringing those organic goods to market, organic producers are paid a premium. This works well until buying habits change and suddenly people aren’t buying organic milk. In 2008 and 2009, we were in a recession. Many people couldn’t afford to buy Organic milk. Suddenly there was too much Organic milk on the market. The Organic milk companies started to sell their milk to conventional cheese plants but were selling the milk at the same price as conventional milk. This meant the farmers that were selling their milk were only receiving a fraction of the premium that they normally would. This made it difficult for organic farms to be profitable. At the same time because there was in general more milk being made than was being consumed, conventional dairy farmers were also suffering. In 2008 and 2009 the price dairy farmers were being paid for their milk was less than what it cost to produce it. For over a year, our farm was loosing money every day we got up and worked. We lost a lot of farms during that time, businesses can’t continue if they aren’t profitable. 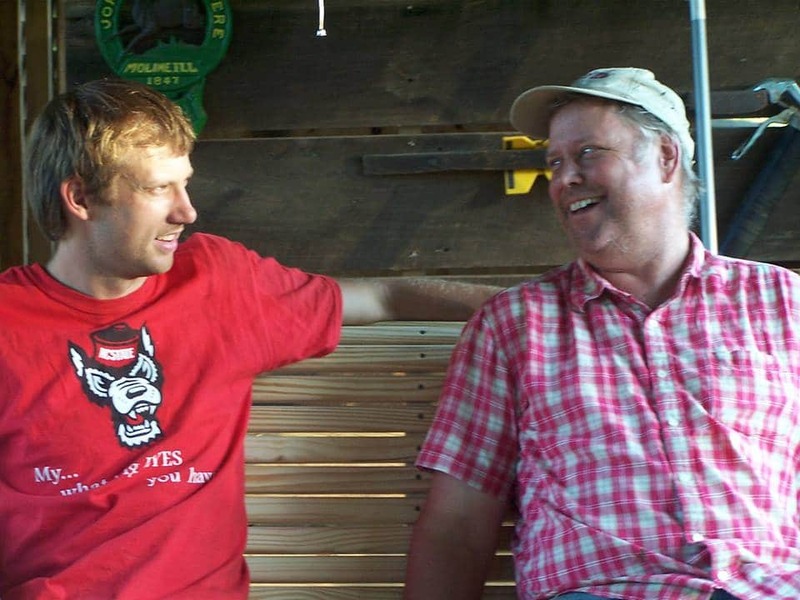 At the end of 2013 our accountant helped us estimate our farm’s profits for the year. After all the bills and employees were paid the number was around $70,000. For tax purposes we used about $20,000 of what would have been profit and reinvested it into our farm by purchasing a new to us skid loader to replace our old worn out skid loader. That left the farm’s profit around $50,000. This means that my in-law’s who work 15+ hour days, 365 days a year made about $4.65/hr. There isn’t a ton of profit to give up when you look at it broke down like that. Recently our town of 5,000 got a new grocery store. This grocery store offers more organic selection and different brands than the grocery store that’s been in business in our town for years. The new grocery store is betting that they can be profitable by differentiating themselves from the old grocery store by offering what it thinks people will want to buy. The old grocery store now has to decide how to remain profitable with competition in town. Some people feel the new store is too expensive and they don’t shop there. Others love the variety that the new store offers. Is it wrong for the grocery stores to make different decisions on what they will carry? Is it wrong for a grocery store to profit? Farming is a business and that shouldn’t be something that is looked at as a negative. « When is the last time you dreamed big? 23 Comments on Farming for profit. Carrie, thanks so much for writing this article. We face those same issues on a daily basis. We’re about to do something that is unthinkable in our valley. We’re importing a bagged alfalfa from (gasp) Texas. Why? Because although we’re surrounded by some of the best fields of alfalfa in the world, it’s all being contracted either to California or to Asia. The price has been pushed to well over $250 a ton in the field. Most farmers here are no longer baling 100# 3 string bales, in favor of the less labor intensive squares. It’s because we’ve taken the time to seek out the product, make the deal to get it here, allot space for the product, market the product, and then move the product from our farm, to the front parking lot, so we can maintain decent bio-security. Yes, farms must make a profit. That’s how we reinvest to continue to get better, more efficient and meet the demands of the market. As far as taxes are concerned The Feds could care less if we make a “profit”, in face there are rewards for not showing a paper profit. All that is important to them is that we pay our bills. Farms that produce organic goods that people need, still do well here in California. The key word is need. Organic raw milk from a top dairy near Fresno, sells for $10 a gallon and people pay the price. But with the drought I imagine even they will make less money because they wont have as much water for the cows. Californians are already noting that humans need the water to survive and that it should not be wasted on food producing animals. But there is a slow change taking place that will probably alter the dairy industry in big ways. And that is the whole notion that dairy is not a need as much as a want. That humans can get higher protein, higher calcium and other nutrients from less expensive sources that are also organic, and healthier. And don’t farmers get federal subsidies? And what about laws that regulate the price of milk that keeps the price low? If a dairyman/woman isn’t making the profit they want, why not change the laws so one can make as much as they can get? Some even note that many businesses go out of business every year/every decade, so why should dairies be exempt? Beth you’re missing the point. 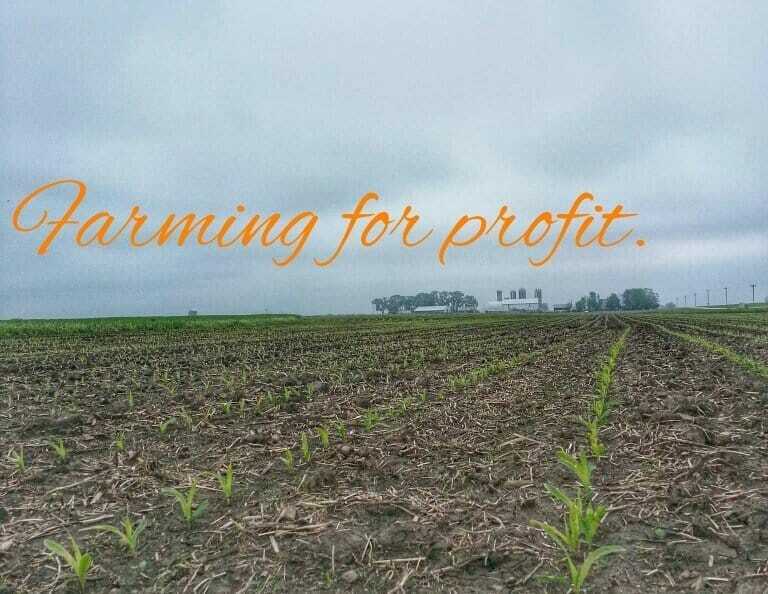 Profit is not only about the price that a farmer sells goods for. It’s also the cost of making the product. Many Californians have yet to give up watering their lawns and golf courses. I am extremely doubtful that they will give up animals products to conserve water. Please tell me which other foods are as inexpensive and readily available that can pack as much minerals and vitamins in as milk? And make sure we’re talking reasonable portions. 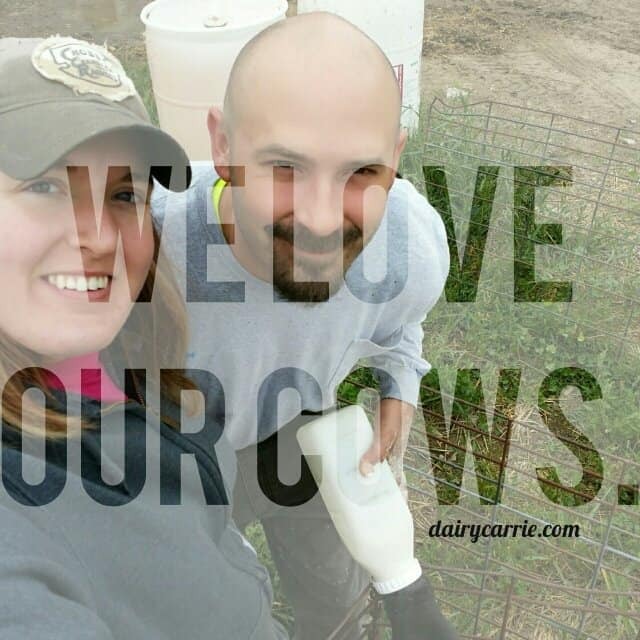 Dairy farmers are paid for our milk a month after it’s been picked up from the farm. We are told what we will be paid, we do not set our price. The idea that all farms get federal subsidies is way over blown. If we have crop damage we get a crop insurance check but just like any insurance policy, we pay in to have coverage! Dairy farms are going out of business every year. What’s your point? Wow, Beth. Wow. That’s all I got. SMH. Beth, keep in mind this response from me is coming from a farming family that got out of the dairy business after almost 100 years, because ANY profit was unsustainable. Farmers do not tell the government what minimum price it sets for milk, that is a decision out of the farmers hands. Like Carrie said, farmers are told what they will be paid for their milk, and too often, it isn’t enough to offset overhead costs. We finally had to go big or go home. Our facility was aging and either need major reinvestment to keep going, or to call it quits. With the prices as they were a few years ago, the choice was obvious. We instead are now focusing on our wasteful “food producing” beef cattle and cash crops on our farm. The profit margin on beef cattle is so slim after input costs, it’s amazing anyone can sustain a profit to keep running in this industry. Like Carrie also said, it’s about smart and innovative management. Organic farming btw, is not a need. It’s a luxury. A wonderful one indeed for some, but nutritionally speaking, organic produce and conventional produce are exactly the same. You pay a premium for the farming practices involved with such, but again, it’s certainly not a need. As for subsidies, most of the farm bill goes to food stamps. What farmers do get and how it’s based is really out of their hands. Crop insurance is a must and is paid into heftily by each grower annually to ensure thousands of farms don’t simultaneously go under in a bad growing year. If it weren’t there, you’d really be crying at the grocery store. Right on the money, both of you Carrie and Laura. Once again, you knocked one out of the park. Farmers understand the principals you have written about, but explaining them is a darned hard job. Very well done! Keep it up, love your point of view and factual info. Beth- please google ‘government subsidies’. Contrary to popular belief farmers are not the sole benefactor of tax payer dollars, and hardly the big dogs in the game. Let’s be real and educate ourselves before assuming pop culture has all the facts down. I’m trying to figure out whether I want one cow or two cows. It would be hard to sell a surplus of 12 gallons every day. 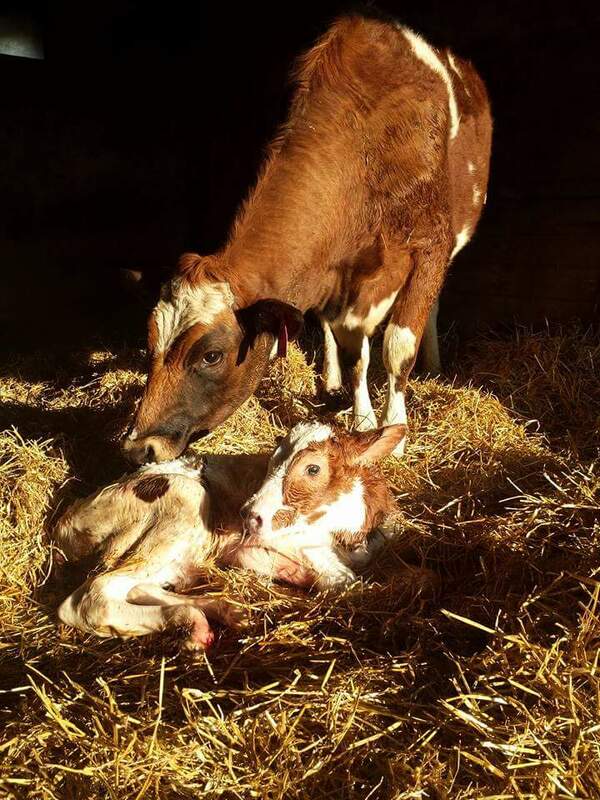 Having just one cow would also probably have a surplus but it would be easier to get rid of. There would be dry periods though, and that might be inconvienent. I posted a comment a couple of days ago but it has not shown up. It said it was waiting for approval. Was it not approved? I see it now in my spam filter. I understand that you don’t agree with dairy farming, I will approve your posts if you are adding to the discussion but it you are just trolling like the comment you left, I will not approve them. I don’t consider myself a troll. I am adding to the discussion because I think it is important that we all examine where we get our food and who we get it from. You are a dairy farmer and so you use cows to produce something to to sell at a profit that comes from cows. The cows, themselves, do not benefit from your enterprise. Don’t you think it is relevant to even examine whether or not we should be using animals for profit? I certainly think so. To be a vegan is to give up animal products altogether. I know that’s hard for a lot of people. And of course it would be exceptionally hard for someone who makes their living using animals. To me it’s a fair discussion. The article was titled Farming for Profit. You commented in your post that “it seems that many people believe that farms aren’t supposed to profit.” When it comes to factory farming animals, I am one of those people. I was sharing my view that animal farming for profit is not ethical. That’s all. I understand your point of view, however my point of view that is shared by the vast majority of people out there, disagree. You have decided in your life that you will not use animal products. I am fine with that but I make a different choice. But your choice causes harm, and mine doesn’t. And since when does the vast majority of people sharing a particular view make that view ethical? Debra, again I understand that your feelings are different than mine. Please understand that you’re not going to convert me. Of course I’m not going to convert you. The only way a person turns away from contributing to the abuse of animals and the environment is by “getting it” on their own. We all have our own pace to enlightenment. But once a person “gets it,” it’s very easy to be vegan. It’s like ringing the proverbial bell that can’t be unrung. And as I stated in my earlier comment, someone who makes a living by using animals might find it harder to hear that bell. For years I ran a nonprofit organization that rescued animals out of our local animal shelter. I wasn’t a big meat eater but I did eat chicken and fish. I abhorred the conditions that the animals were kept at the shelter. I was angry about the high kill rate at the shelter that was caused by the behavior of people such as not spaying and neutering their animals and also treating their animals as disposable by dumping them at the shelter. But I still wasn’t vegan. I’ve known for a long time about the legal abuse that factory farm animals endure but I thought there was nothing I could do to contribute to making it better. I was wrong. I finally “got it.” The conditions shelter animals live under are terrible, but nothing compared to how animals raised for human consumption are treated. I did a lot of research and found that even small local farms that treat their animals better than large factory farming corporations, still contribute to animal cruelty by being a link in the chain of the entire animal product industry. I used to think that if only they were treated well before they were killed for human consumption, that would be okay. I no longer believe that because, after doing extensive research, I am convinced now that we don’t need any part of any animal for our own well-being and also that each animal has its own desire to live the way nature intended that animal to live. For humans to unnecessarily inflict cruelty upon these animals is something that, as a society, we should not turn a blind eye to. Hopefully, the vast majority that see it your way will become the vast majority that become enlightened. That is my hope. What you don’t seem to understand is my beliefs. I don’t believe that animal agriculture is inherently abusive like you believe. I understand that you will never be ok with an animal dying for humans to consume it. It is your belief that consuming animal products is wrong, it is not my belief. You are free to choose your preference, just as I am free to choose mine. Where’s my comment? Again not approved? I made a valid point. Is your blog only for other animal farmers? Is your intent to only educate/impart your views to people who think like you already? Debra, your comment was in my spam box for some reason and I didn’t find it until today. I have approved both of your comments. Well said and many good points. However, do not diminish people’s fears of “corporate farming”. And do not get caught up in semantics as I know very well that a large family farm can legally be a corporation. People need your educational blogs . Always heed their fears and understand what it would be like if a “Haliburton”-like corporation started controlling a huge part of any market. Tomatoes, strawberries, milk, green beans. When focus is just on profit and the well-being of the consuming populus is a secondary issue, we all need to be concerned. Also organic farming is a healthy way to live, to feed the country and to care for and nurture the soil, water and air. Most people don’t understand govt subsidies and only only listen to one liners from those in govt not willing to help anyone. Thank you for another great post Carrie! You make several good points about how farmers must be profitable to sustain. American consumers benefit from profitable and thriving farms because those farms are able to produce the quality food we all enjoy. I’m not sure why some people believe profitability has a negative impact on animals, the environment and consumers when actually the opposite is true. Continue sharing and defending the truth! As to Vegan, I’m very happy to see differences in peoples habits and choices. If only the media, who is the main source of the GENERAL publics info, would show them how much good there is vs showing the less than .5% of the bad that’s out there. Interesting to note with personal experience how children adopted from various regions of Africa (mainly vegetarian), grow by leaps and bounds when exposed to meat protein diets. So much that they age is generally underestimated when they first arrive. I assume that most vegans don’t want animals to be eaten, period. The majority of people choose to eat meat and they rely on good animal husbandry practices so they can be provided with humanely produced food. To bring this back to profitiabilty, something that most animal activists forget, is that we live in a capitalist society. We want to be profitable. To be profitable, animals need to produce. To produce well, they need to be treated well. With few exceptions, that is the case. In my 20 plus years in agriculture, dealing with all size farms, I have NEVER met a person that didn’t love what they do and have respect for their animals. What you see on TV is the exception and not the rule. The other day a herd posted on FB about a cow of theirs producing 215 pounds of milk in a day. That’s 25 gallons! That cow did not do that because it was mistreated. And it’s a healthy animal, not loaded with antibiotics and hormones as some like to think. I think that’s awesome! Carrie, keep trying. I’d hate to get to the point in this world that we have to rely on getting our food from countries who don’t produce a product as humane and safe as ours. The public NEEDS to know how good we’ve got it.